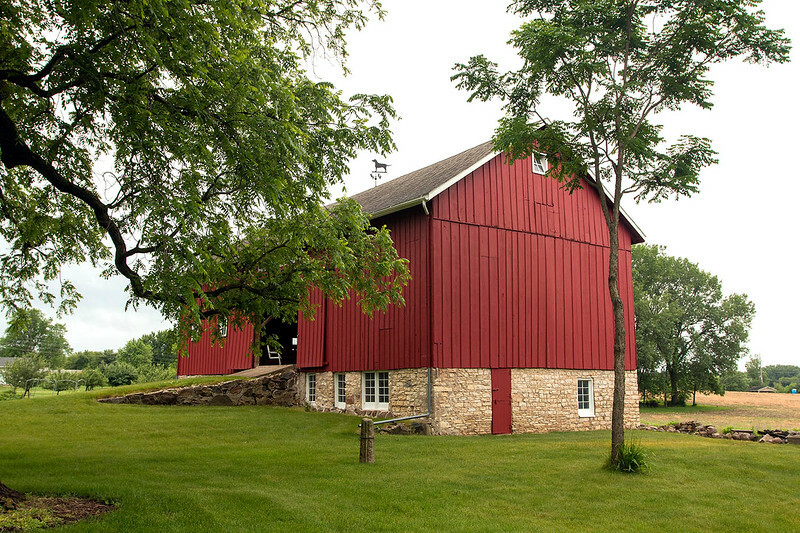 The barn is on the National Registry. 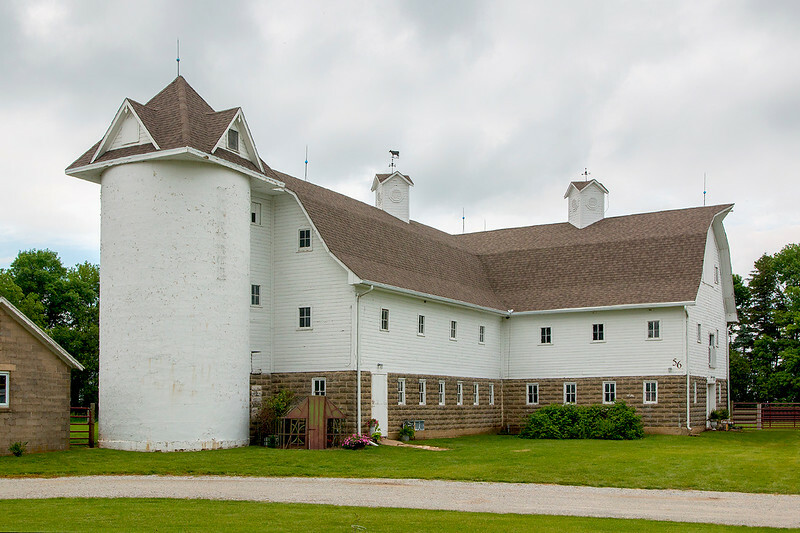 Located in Black Hawk County. Built of concrete blocks. 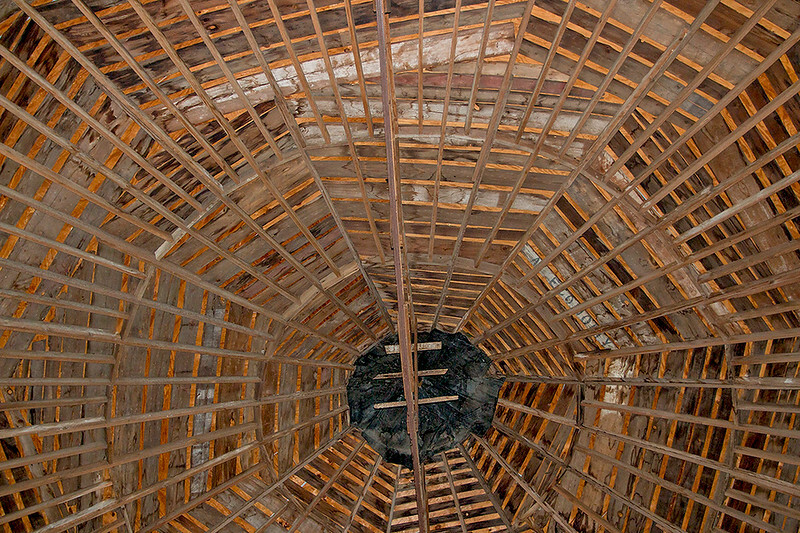 Iowa State agricultural engineers developed hollow curved tiles to create round barns and silos. 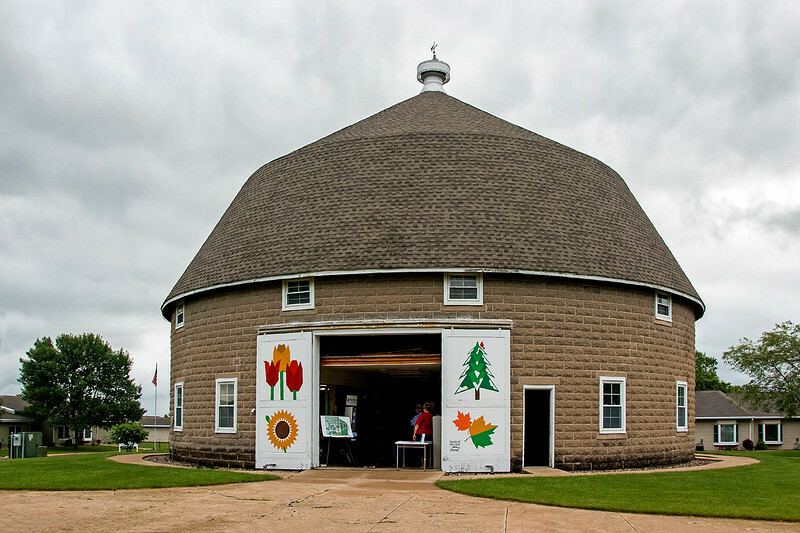 A landmark in Grundy County. 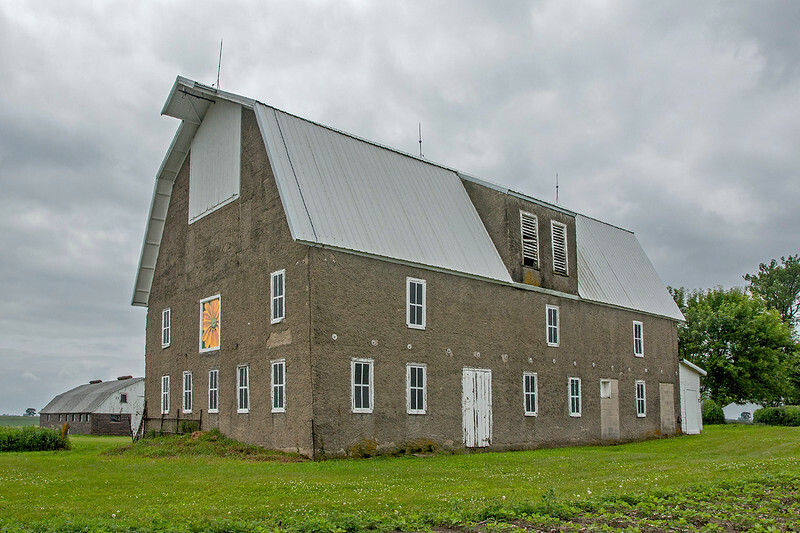 Barn was a dairy barn for Worthwhile Frost Dairy. 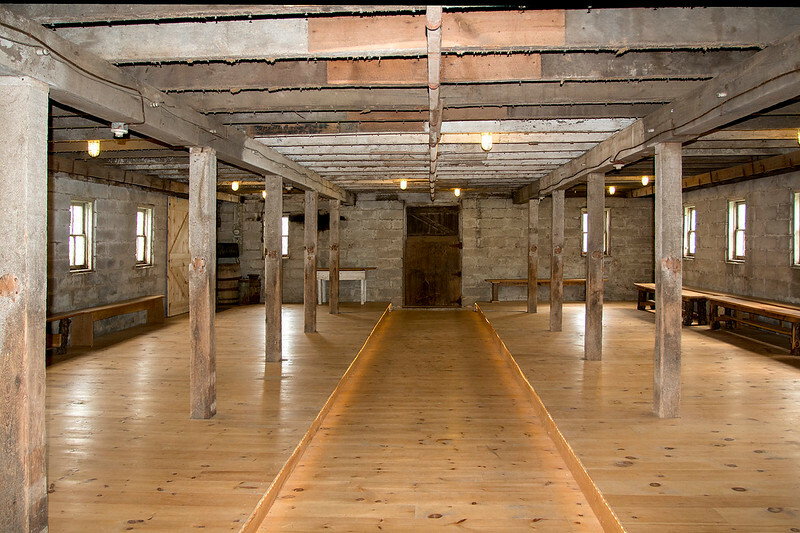 Interior of 1907 Worthwhile Frost Dairy as it looks today. Located in Harden County. 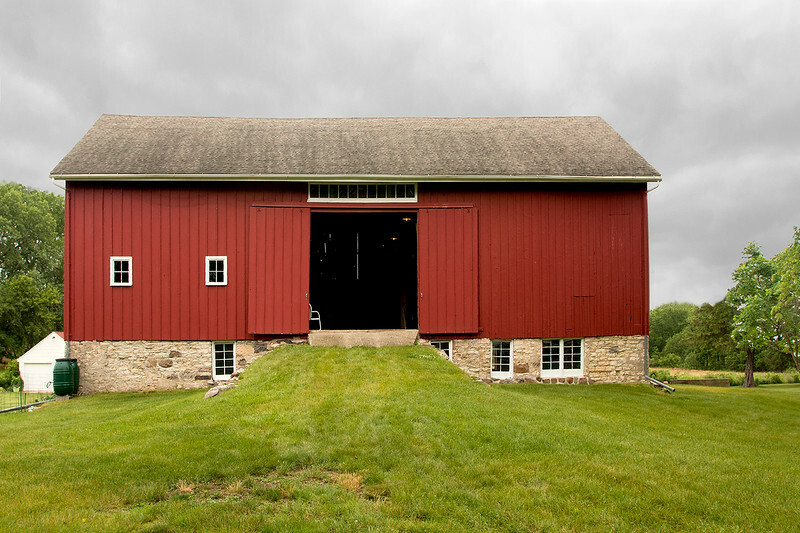 The arched roof barn was built in the late 1930s. 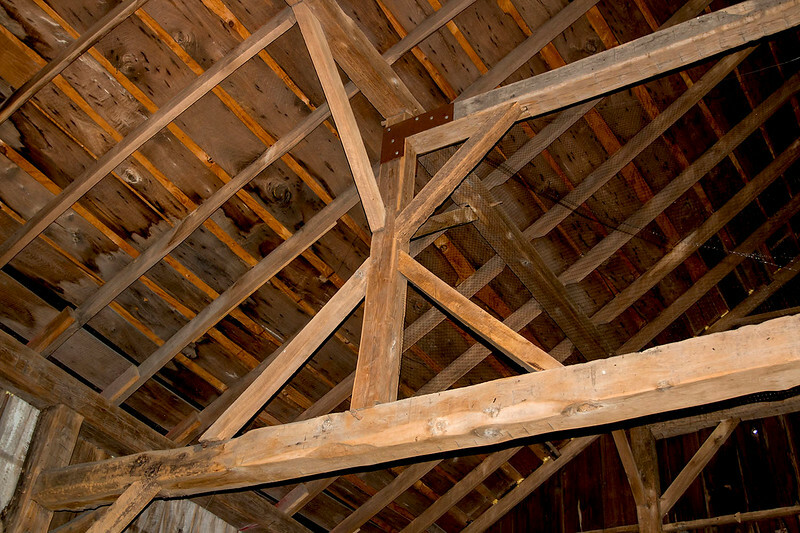 Was used as a dairy barn. 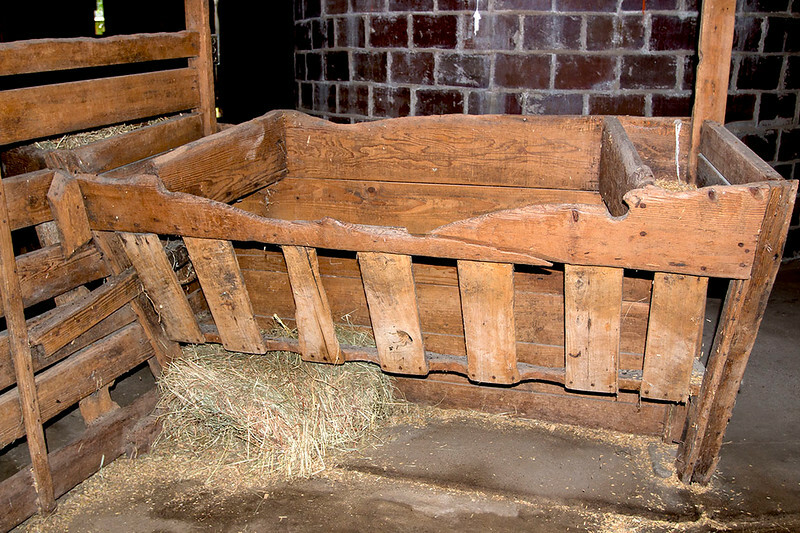 Built by Charles Wilke around 1900. 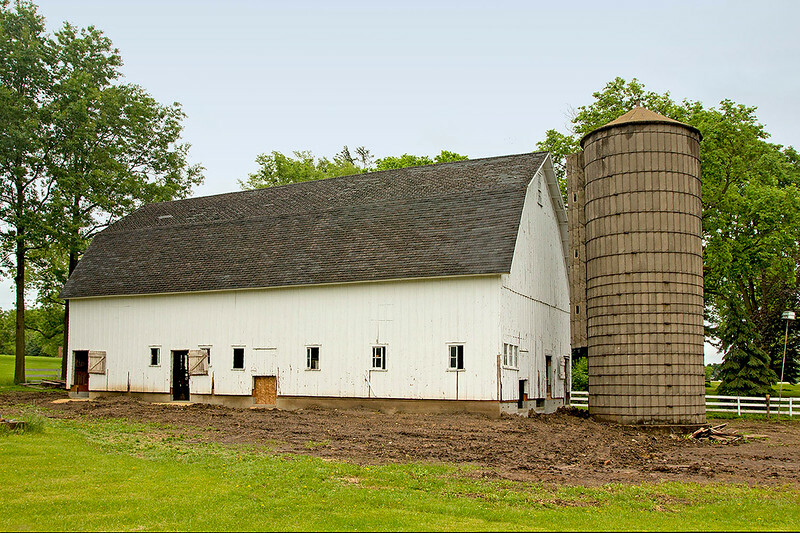 1917 Round clay tile barn with clay tile silo in center. 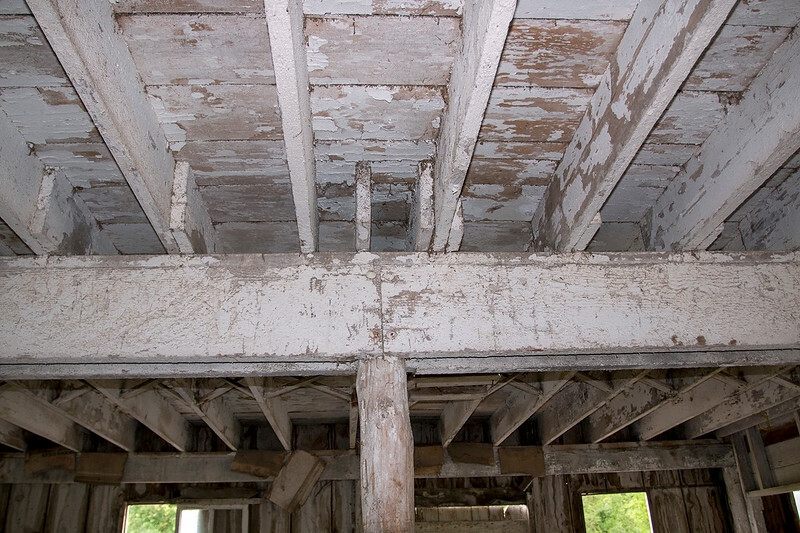 1917 round dairy barn still has old stanchions and calf pens. 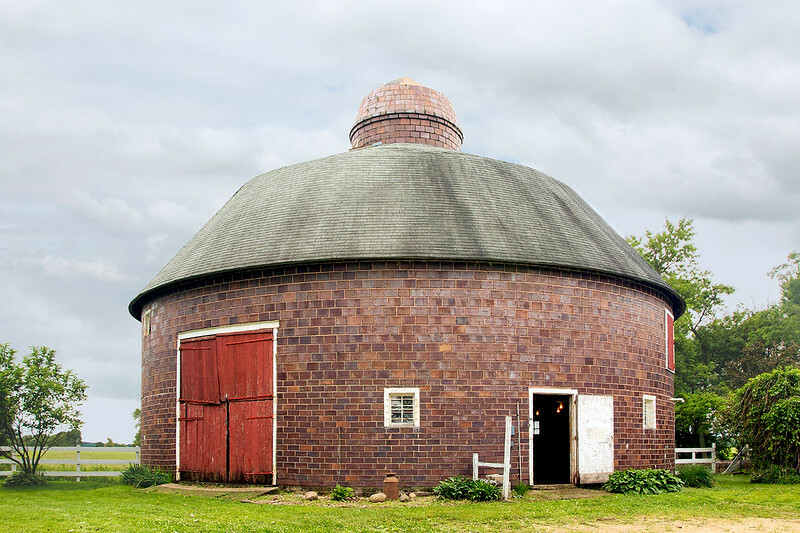 Built with Round clay tile developed by Iowa State agricultural engineers. 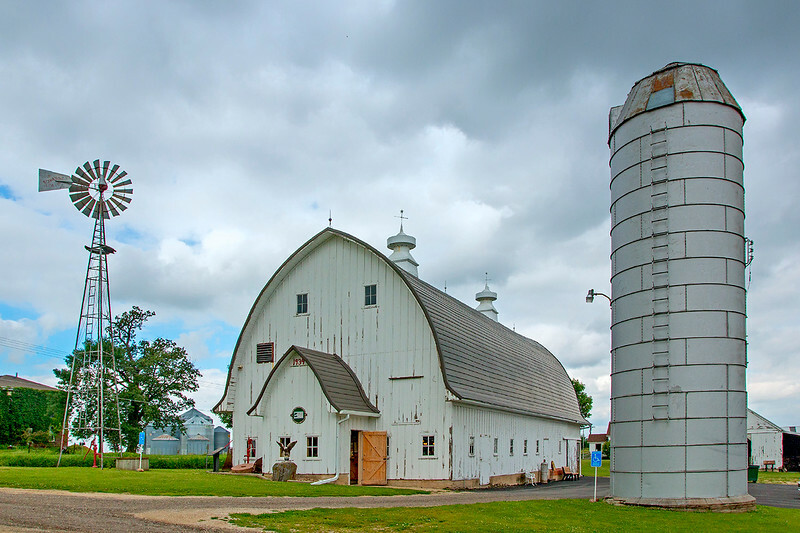 Bremer County. 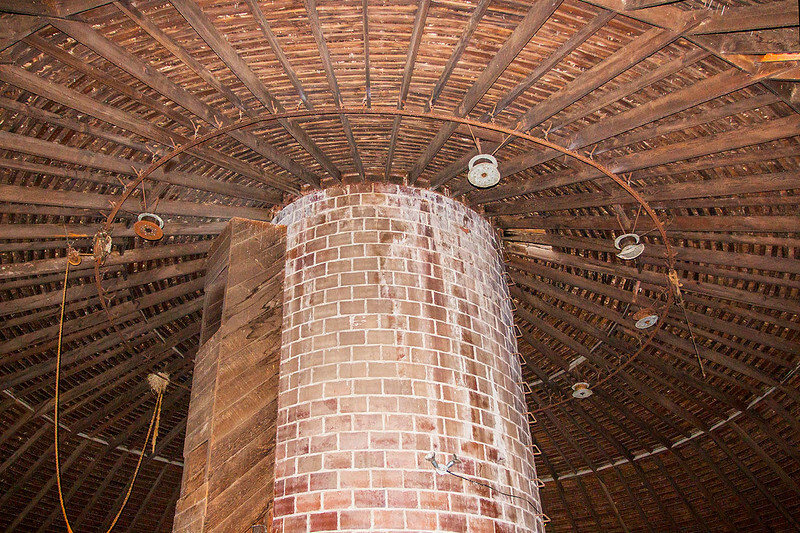 Clay tile silo in center of round barn with roof support.